Product property:They are characterized by high mechanical stability, reduced dimensions for easier handling, high mechanical and climatic resistance. 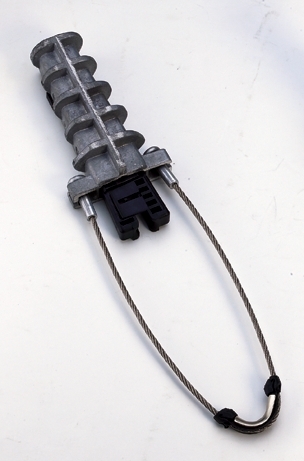 Cable gripping device in insulation material ensures the double insulation of the neutral core and avoids damage to sheath, secured parts, no tools required , Stainless steel bail with two marbles compressed on the end. this coception allows an easier locking on the body of the clamp. They are in accordance with NFC 33-041.